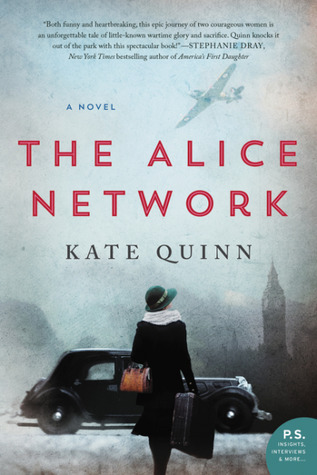 The Alice Network is historical fiction beautifully told between alternating chapters that focus on Charlie St. Clair, an unwed pregnant woman in 1947 New York who is looking for her lost cousin Rose who has disappeared while living in Nazi-occupied France; and Eve Gardiner, who in 1915 was living in France while fighting the Germans as one of very few female spies in the Alice Network. In 1947, Eve is drunk and bitter, and she’s Charlie’s best help in finding Rose. But can Charlie convince Eve drop drop her hibernation act and put down the booze? Great storytelling. Super compelling. I really couldn’t put it down. Plus there’s handsome Finn. Better than a lot of historical World War I/World War II fiction out there. Oh, and the audio version c’est magnifique!